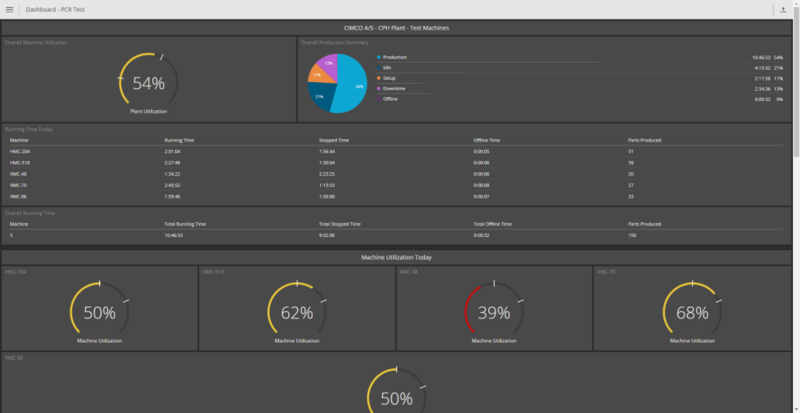 Dashboard Released for CIMCO MDC Web Client!!! CIMCO MDC – Dashboard released – Bird eye view of your Shop floor!!! 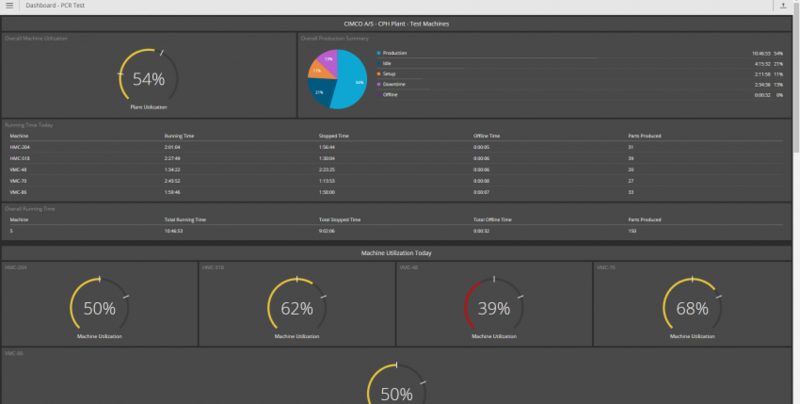 Dashboards offer several new ways to visualize the state of your shop floor. Create multiple Dashboards to focus on different production facilities, different machine groups, different levels of data complexity or other specific needs you may have. A Dashboard is made up of visual objects that we call Widgets and each widget is designed to present data in a specific way.Dashboards are evaluated real-time, like the Live Screens, and it is possible to create a Dashboard that shows information for several machines. This can provide a quick cell overview, or even an overview of the entire shop floor. This is enabled by checking the option “One dashboard for selected machines” at the bottom of “Dashboards (Web only) – see Configuration screenshots below”. When using this option, each widget must have one of the following behaviors specified. Individual – A widget is created for each selected machine. Average – One widget is created showing the average of each value for the selected machines. Sum – One widget is created showing the sum of each value for the selected machines.